To start with one of the most important things, in the last year we successfully increased our clientele. The number of our clients grew with thousands of people globally, all of them looking for the stable and innovative investments Innovative Securities can provide. It is also very important that the rate of our growth increases several percent each year. This means that we are not only able to grow from year to year, but we grow faster and faster. This year we achieved international expansion as well: as we planned last year, we started our operations in the European Union. That is a huge success and a very rewarding challenge for Innovative Securities. As a constantly growing company, it is important for us to communicate with our clients and potential clients the best way possible. Due to our growth, this also means more languages. We believe that our regular market analyses can help anyone who is interested in economic issues, so we are trying hard to reach the most readers possible. This is why from the middle of this year you can read our [Market Thoughts](http://blog.innovativesecurities.com/tag/Market Thoughts) and [Financial Advice](http://blog.innovativesecurities.com/tag/Financial Advice) not only in English but in Russian as well. The same goes for our Facebook page: we are posting in Russian there too. We are also planning to launch a new language soon, to be able to share our thoughts with even more people around the globe. Another important development in our company’s life was the audit for ISO / IEC 27001, which we have successfully passed. This confirms the highest level of information security, and we are very proud of it. This achievement basically means that Innovative Securities is now among companies which use the most secure systems globally. This not only makes us proud, but also helps our clients to feel safe with their investments. After all these years, we are sure that our concept of a good financial service meets the demand of people. 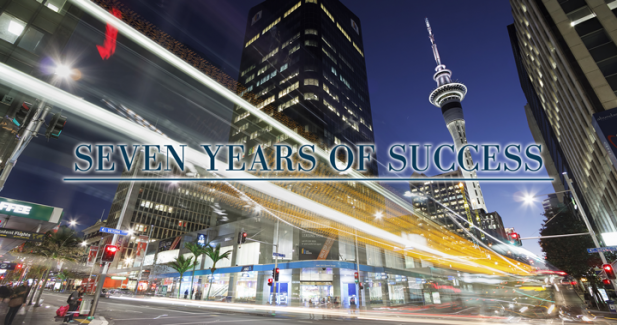 Seven years ago we launched our products believing that people need a new kind of investment in this fast paced and swiftly changing world. They need stability, high returns, but also need flexibility and the ability to stay liquid. They also have to feel safe and they need perfect customer service. After seven years, we believe that Profit Max is the product that is able to give them all these crucial things. What is even more important: judging from our constant growth, our clients think the same. We are going to work hard in the next years to keep our clientele’s satisfaction and to remain a successful, growing and always innovative company.